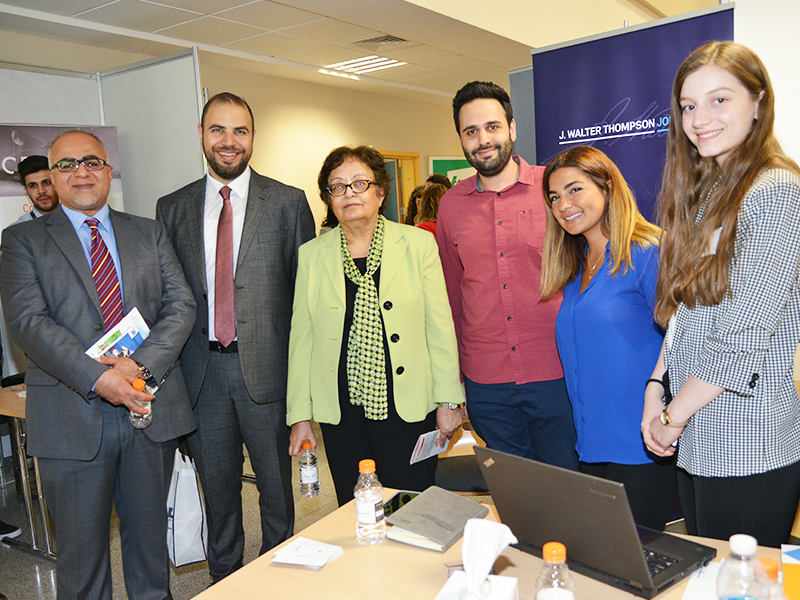 On Wednesday 18th of April 2018, The Office for Industrial Links (OIL) at the German Jordanian University (GJU), in cooperation with the Career Guidance Office of King Abdullah ll Fund organized the Eighth Annual Career Fair, under the patronage of GJU President Prof. Manar Fayyad, in the presence of GJU Vice President Prof. Dorit Shumann, Director of OIL Britta Kähler and number of GJU staff and academic members. 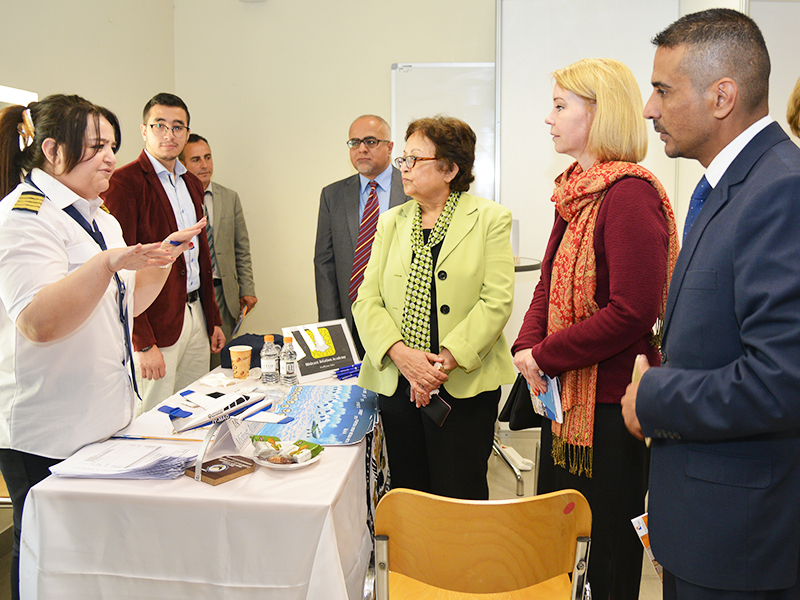 Prof. Manar Fayyad clarified that the Career Fair is the largest annual event organized on campus and reflects GJU’s strong cooperation with the industry locally and internationally. Fayyad explained that over the last years GJU enriched its vision from Education for Employment to Education for Employment and Entrepreneurship (E for E&E) therefore the university has established several unites besides OIL, Program for Innovation & Entrepreneurship and the Industrial Relations Committee to fulfil this purpose. Britta Kähler pointed out that the Career Fair this year includes around 70 exhibitors where it focused to include not only corporates but also sections for startups and entrepreneurship support organizations, training providers, NGOs and educational institutions. Kähler also said that every year OIL involves the students in assisting the participants through the entire day, moreover they provide the “Career Fair Handbook” that helps guests to find their way through the fair and serves as an important database for students and graduates in the future. 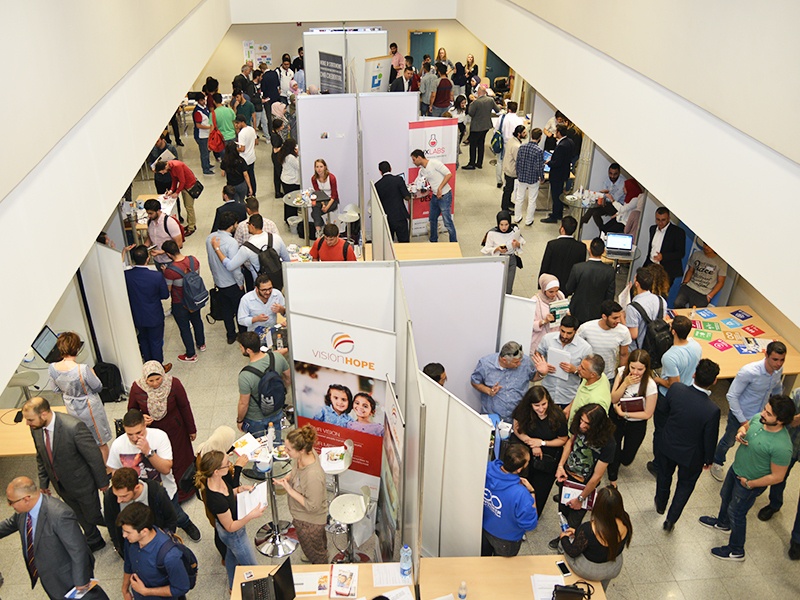 The Career Fair combines a variety of companies and organizations and gather them in one platform to interact directly with GJU’s students and graduates to provide them with support in finding internships and jobs besides learning more about possible career opportunities in different fields. 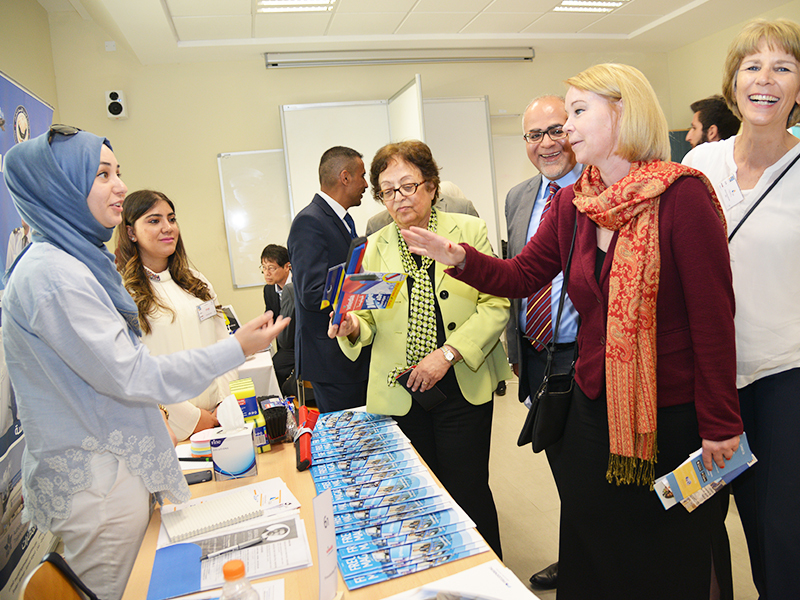 Faculty representatives also were given the chance to network and discuss market requirements directly with companies.